Remember! Click on the covers to add these books to you Goodreads account! I was legitimately upset when I finished this book. It’s heartbreaking knowing my journey with Hector and Elisa are over. I adore them in every way possible and I will miss them like they are my friends IRL. Hector and Elisa will always have a little corner of my heart. Their romance and their steadfast love for each other is what everyone dreams of having.I am jealously happy for this fictional couple and wish more than anything that there were five more books to be written about them. About little Prince Rosario and fiery fierce Red, about Conde Tristan, Storm and Alodia, Cosme, Mara and Belen. There is so much Carson could do with this world and these people because she’s developed these characters so thoroughly and so wonderfully I can create futures in my head for all of them. There are living breathing people to me and I am going to miss their stories. The Bitter Kingdom is dazzling. It’s drips with beauty, from the world to the words to way her characters live, Carson has captured every bit of imagination. This series is one of the greatest I’ve ever read. Carson solidifies herself in rank with fantasy authors like JK Rowling, Kristin Cashore and Cinda Williams Chima. I can’t write anymore. Anything I write won’t live up to how breathtaking this story is. Won’t ever truly make you understand how ardently I adore this series. Instead, I am going to write Rae Carson a letter begging and pleading her to write another series about the characters. Look for it on my blog soon. Regardless, below are my favorite Thus-Far read books that were published in 2013. This is also me book pimping these onto to you lovely readers because they are crazy good. Dark Triumph by R.L. LaFevers – this is gorgeous and rich. I love LaFever’s writing and her characters in the entire His Fair Assassin’s series are breathtaking. From shy and sweet to spicy and fierce these female pro-tags became my bffl faces while I was reading. The Cadet of Tildor by Alex Lidell – This was a fun book and surprised me. For having a badass female pro-tag, she’s very feminine at the same time and relatable. I feel like usually you don’t have that balance and it was nice to see. The switching narrators also allowed me to stay more engaged with the story and the fact that the romance is subtle, second to the main story, is refreshing. Reboot by Amy Tintera – this one is hard for me because I actually rated Prodigy by Marie Lu higher. But I think when it comes down to which book is actually better all around, Reboot wins. It’s definitely a more mature book, with more engaging characters and more thought provoking themes. Buuuut, Marie Lu’s writing, while def geared towards a younger age range, engulfs you and tears you through a fast paced storyline that has you reading it in 12 hours (guilty!). So just… read both, yeah? The Elite by Kiera Kass – we all know this is a no-brianer and that I have a slight sickeningly obsession with The Selection series. It’s just… just… so fatabolous. I fangirl all over these books. I’ve known about this baby for awhile but….. IT FINALLY HAS A COVER!! It’s so different from the Chemical Garden series. Much more.. artistic and interesting. My reaction to the premise? WHOA WHOA WHOA It’s coming out THIS YEAR NOW! 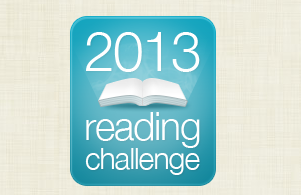 To-Read Tuesday – Top 20 To-Reads of 2013! 2013 is going to be a Fanstadactile! The year 2013 is probably my most anticipated book release year of all time. There are some really interesting new series coming out and some redic second and third installments in legit badass series coming out. Wow… soo much lingo. But I am just so excited my uber poor use of slang is coming out. Eeeeeee!! !